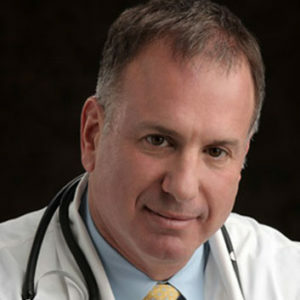 New Jersey PRP Hair Restoration Therapy Specialist, Johanan D. Rand, M.D. at Healthy Aging Medical Centers specializes in using PRP to help men and women to restore thicker, fuller hair. Thinning hair plagues many people, and until recently, there was not a wide selection of therapies available for the treatment of this condition. Common therapies for alopecia included hair implants, medications, and lifestyle changes. While alopecia can occur for several reasons, Platelet Rich Plasma Therapy can be used to treat this condition in both men and women, and it can be used in conjunction with other therapies. Platelet Rich Plasma therapy is a new and exciting option that does not require surgery or downtime, and it has helped vast numbers of patients to achieve thicker hair. While hair loss can be difficult for men to experience, women may be even more devastated when their luscious locks of hair begin to thin out. Luckily, Platelet Rich Plasma can promote hair growth and restore hair thickness. A Hair Restoration specialist will use components of the patient’s platelets, which are amplified with growth factors, and insert them in the areas of the scalp that are thinning out or all over the scalp. Many women have been able to eliminate balding spots or stimulate the growth of an overall fuller head of hair with Platelet Rich Plasma therapy. Even though this cutting- edge PRP treatment is new, Platelet Rich Plasma, which involves the use of stem cells, has been used for many years to regenerate and heal tissue in the joints and spine. Now, physicians are using the benefits of stem cells and Platelet Rich Plasma to help women and men improve their aesthetic appearances. Before getting started with a Platelet Rich Plasma therapy, New Jersey Hair Restoration Therapy Specialist, Johanan D. Rand, M.D. at Healthy Aging Medical Centers will perform a full medical intake and discuss the patients’ medical history, lifestyle habits, and treatment goals. Then, he and the patient will design a treatment plan that includes the use of Platelet Rich Plasma and potentially other therapies to help patients achieve their goals. Countless men and women have been able to enjoy thicker, more evenly distributed hair with the help of Platelet Rich Plasma for alopecia therapy. To learn more about how this very exciting and highly-effective new procedure may work for you, call New Jersey PRP Hair Restoration Therapy Specialist, Johanan D. Rand, M.D., of Healthy Aging Medical Centers at 973.435.0433 to schedule a confidential, no-obligation consultation.